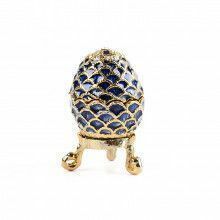 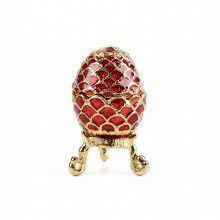 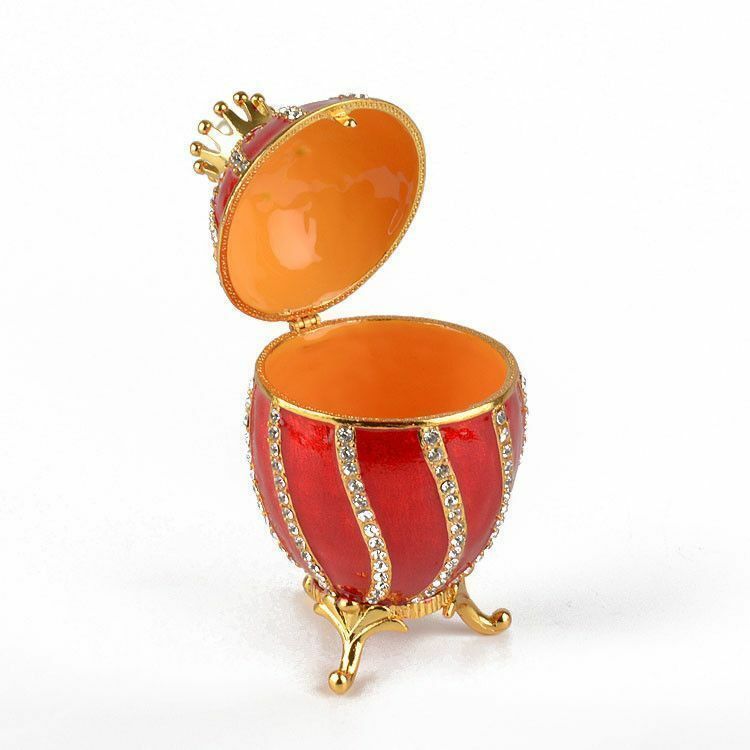 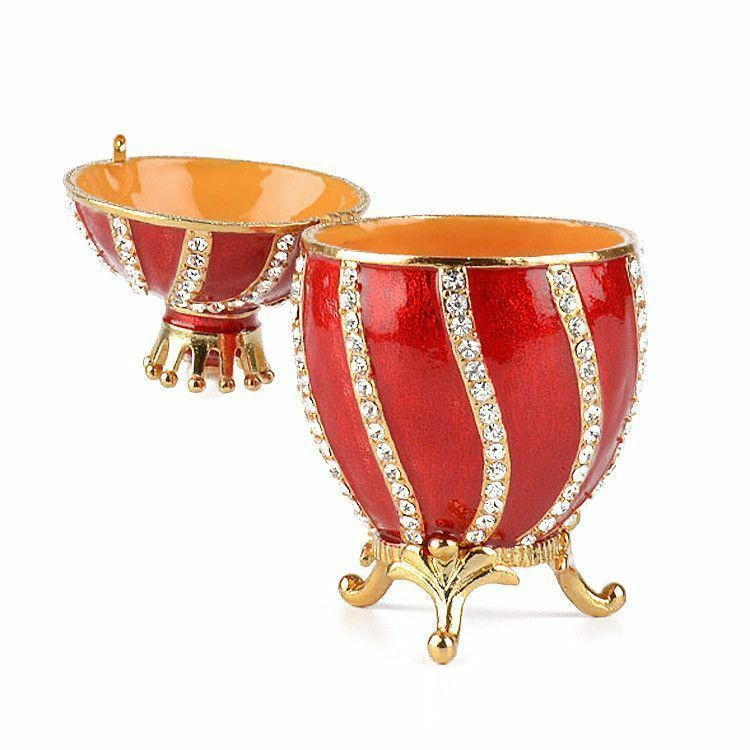 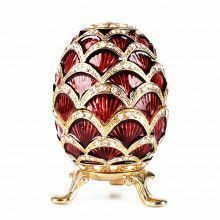 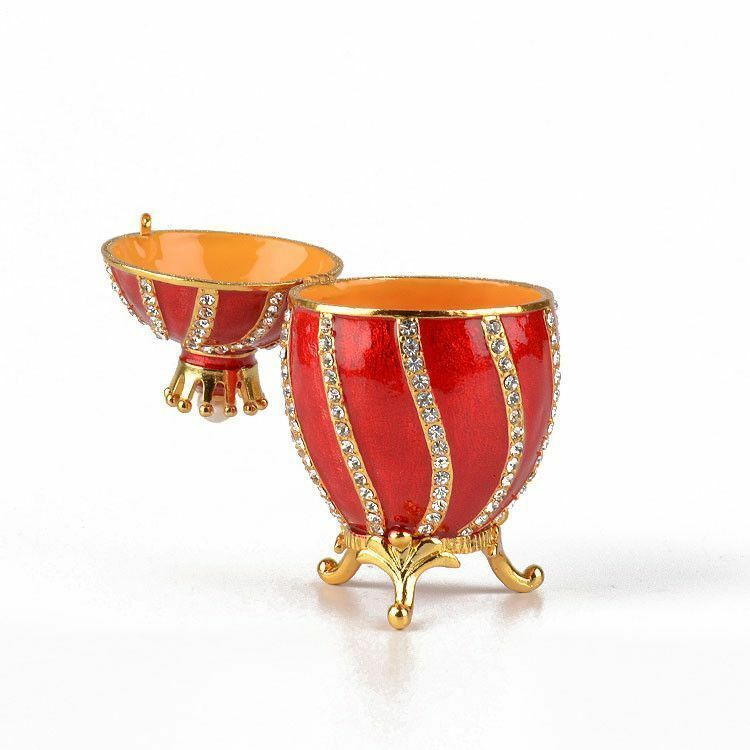 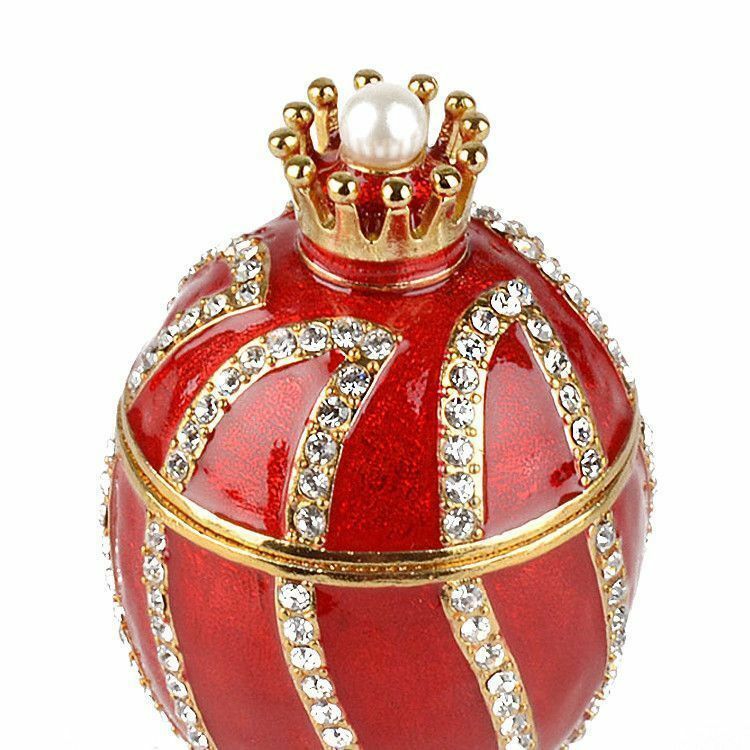 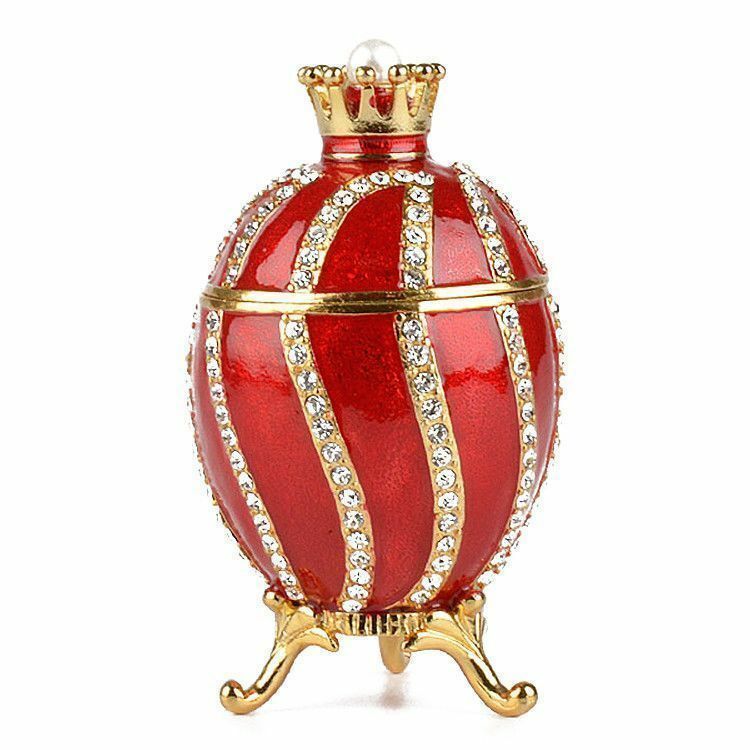 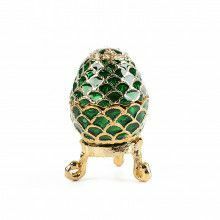 This red and gold egg box is modeled after the famous faberge eggs. 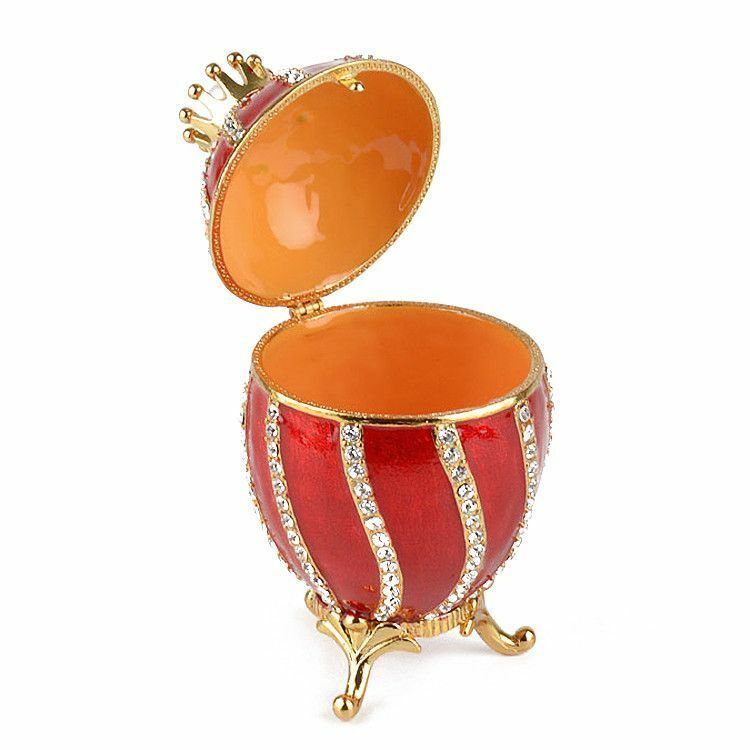 It features dozens of sparkling clear crystals, gold plated trim, and a spacious interior. 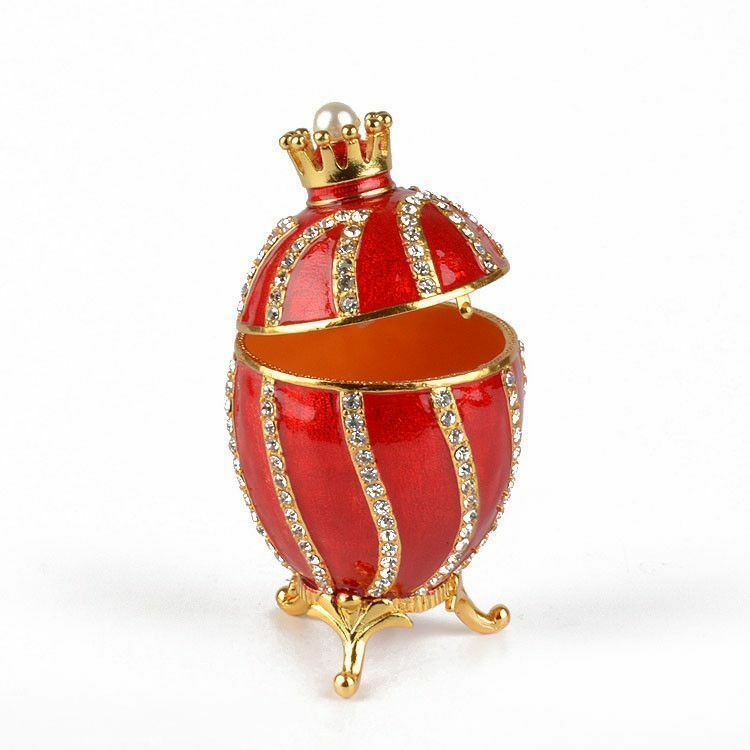 In addition, this egg has a crown and pearl on the top. 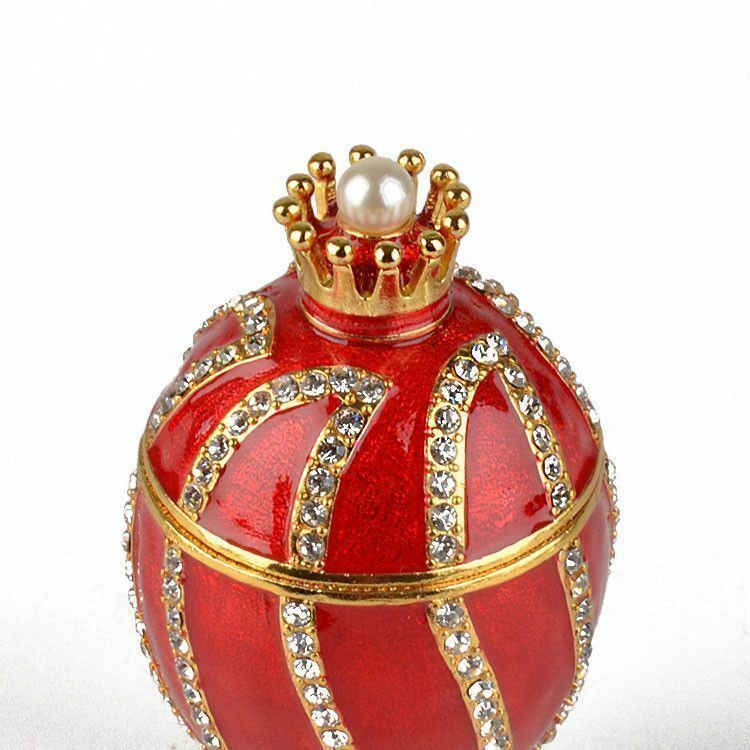 The box opens and closes with ease, by way of hinge and clasp. 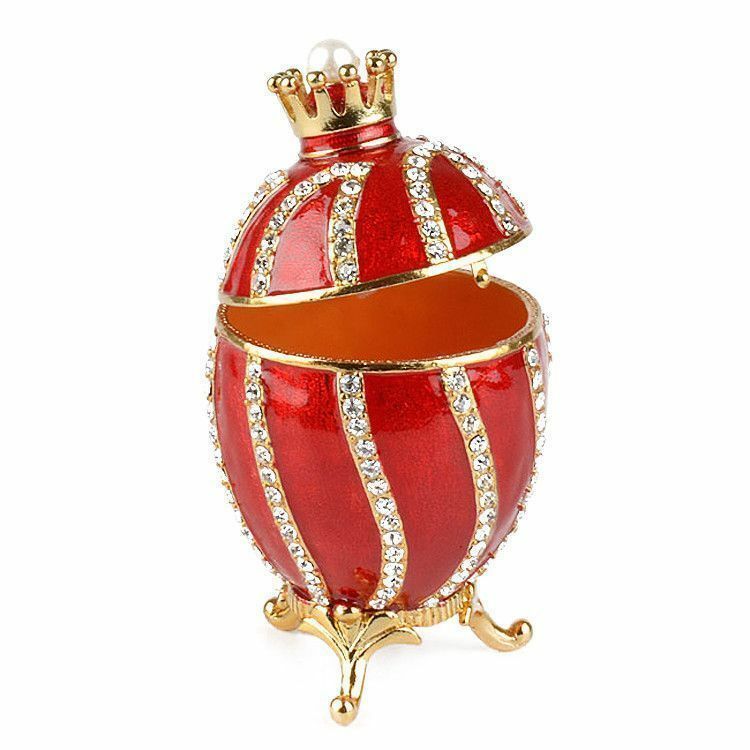 This egg is a great gift for anyone. 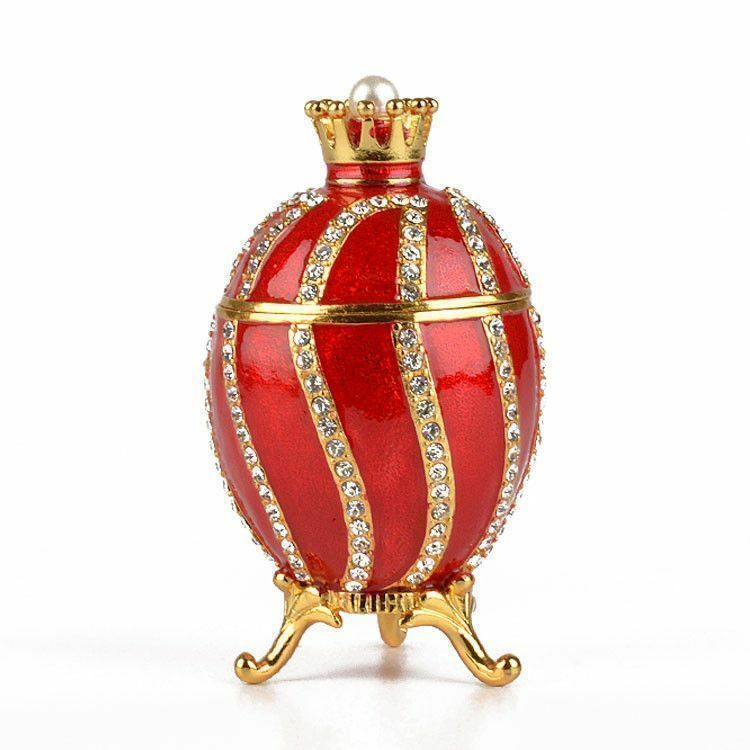 About 4 3/4" tall and about 2 3/4" wide.